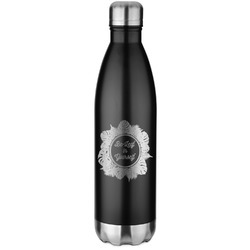 If you are tired of using plastic water bottles, this black stainless steel watter bottle is for you! It will keep your water ice cold for hours on end! Even more, it will even keep your warm beverages nice and toasty almost just as long.